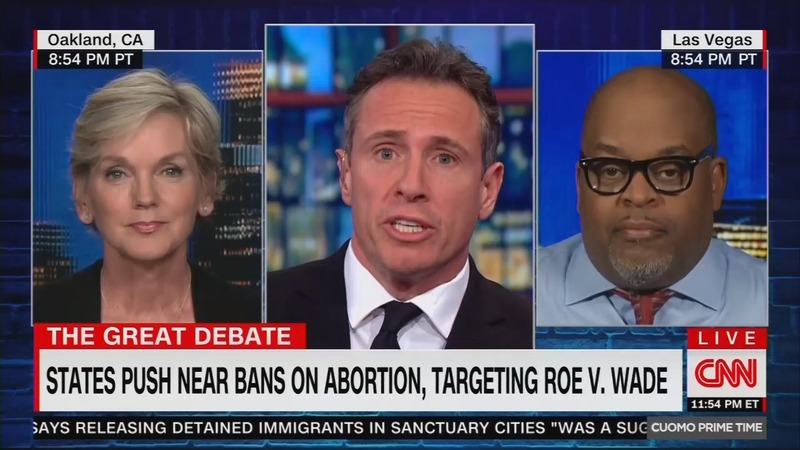 On Thursday’s Cuomo Prime Time, Chris Cuomo obnoxiously compared heartbeat bills that protect unborn babies to the Jim Crow laws that oppressed black Americans for generations as the CNN host moderated a debate between liberal contributor Jennifer Granholm and conservative guest Niger Innis. He also accused Innis of “spreading bulls**t” as the CNN host promoted the discredited myth that federal funding does not bolster Planned Parenthood’s abortion activities. I will stipulate here at the beginning, I don’t believe this is about states believing these laws are going to stick, it’s about pushing the envelope and seeing what happens and what they can agitate at the Supreme Court level, but as you heard of, I liken these to Jim Crow laws because I saw that as the same pernicious intent. Let’s codify it, let’s solidify it at the local level so at least we’re starting with a base, and then we’ll try our luck and see how long we can keep it this way. Granholm went on to obnoxiously mock the label “pro-life” as not really being pro-life because conservatives do not support liberal amounts of spending on welfare programs for Americans with children.